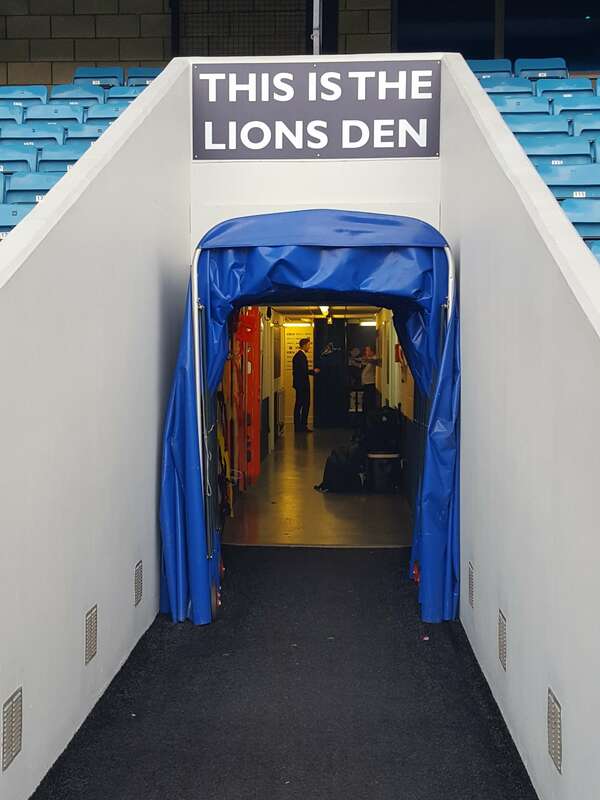 Millwall football club entertains EnergyBet as they take on table topping Leeds United at the Den. New in stadium betting partners, EnergyBet are treated to a good lunch and even better football. This club has had to deal with a fair amount of negativity over the years. It has gained a reputation, and that reputation isn’t good. However, the global image of Millwall football club has undergone a spectacular transformation recently. So much so that they now receive accolades where once there was only criticism. Many were surprised when Millwall FC was named ‘Family club of the year’ by the English football league in 2016. Let’s be honest it surprised me! However, from the moment that I entered the vicinity of the ground I encountered only happy, friendly, (mostly) positive fans. Many of the faithful were predicting a tough match against the league leaders. One fan though suggested that Millwall would lose 3-0! I must have been stood at the wrong end of the ground because 3-0! Honestly! I don’t know how he could face his kids in the morning. This club has worked hard to establish itself as a family club, and it shows. ‘The Millwall family’ are as dedicated and loyal supporters as you will find in the Championship. It came as no surprise to them when they were given this award. There’s a line from one of Millwall football club’s terrace chants, which goes, Let ’em all come down to the Den. Well, Leeds United came down, but they didn’t really turn up. Millwall dominated the game from the very start. Millwall is a club that prides itself on its academy and its youth. There was some genuine fine young talent out on that pitch. They were not in any way overawed by the mighty Leeds. Quite the opposite, the young Lions tore into Leeds United. They were however, unable to convert their chances. That all changed in the 73rd minute when Aiden O’Brien converted a Jed Wallace low cross to finally give Millwall the lead. With 20 shots at goal for Millwall, compared with only 6 for Leeds it could have been a lot worse for the visitors, and their supporters knew it. I happened (just by chance) to meet up with some of their fans after the game and they reluctantly admitted that Millwall had outplayed them. If Millwall could consistently keep up that level of play during the season then (in my opinion) the play-offs are a distinct possibility. So, what are the odds for Millwall’s next game against Preston North End? Visit EnergyBet website to find out. 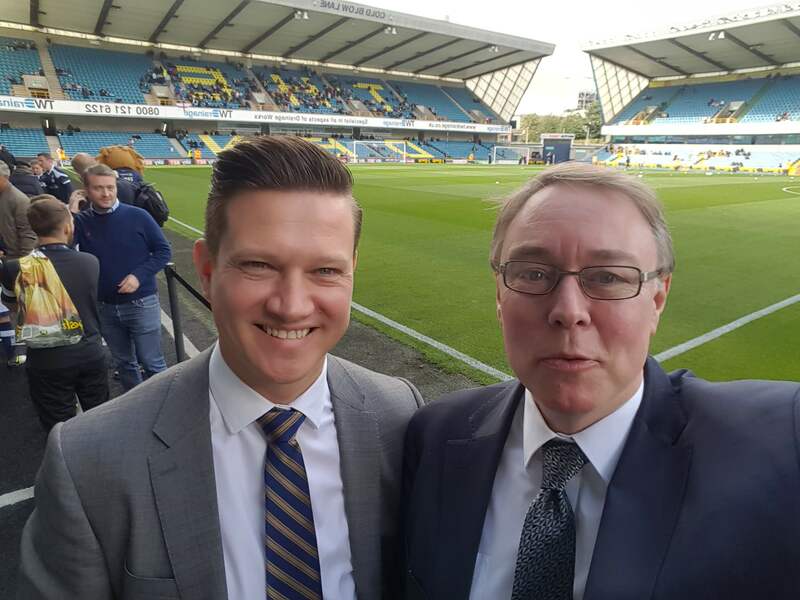 If you would like the opportunity to join me for a 3-course meal with wine in the executive lounge at any of Millwall’s home games then check out our Twitter feed. EnergyBet will be running a series of Twitter competitions during the season with some terrific hospitality courtesy of Millwall football club.